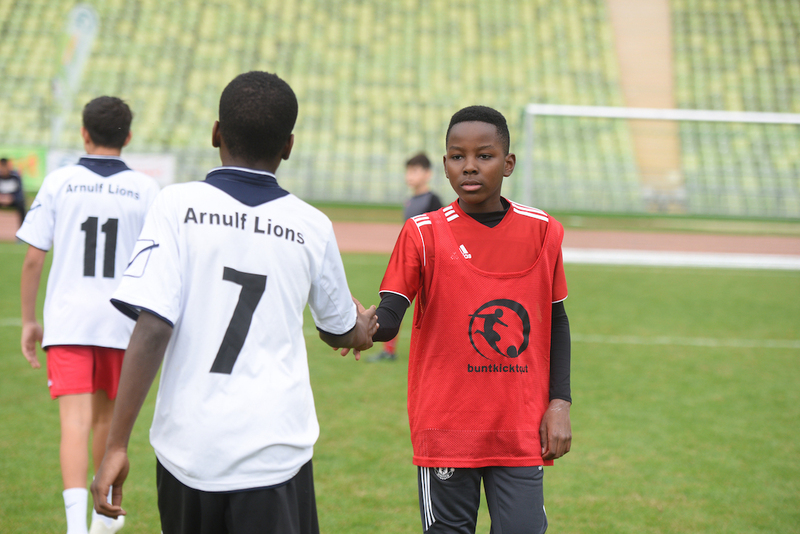 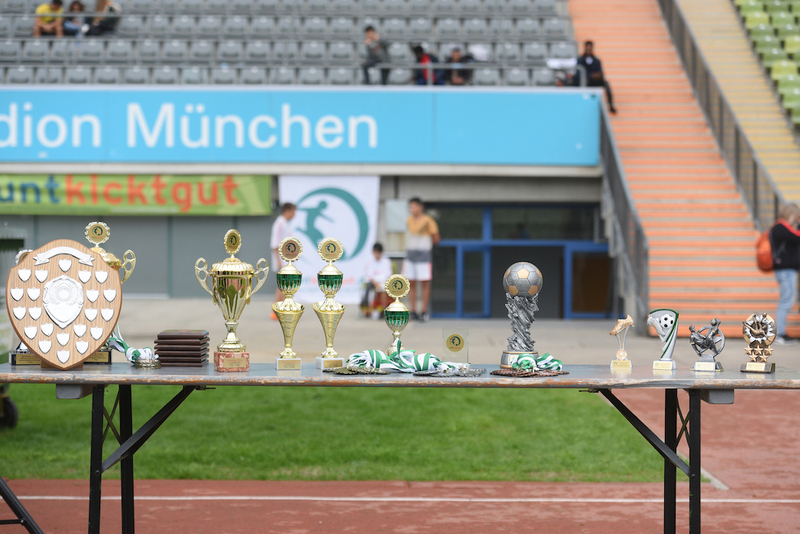 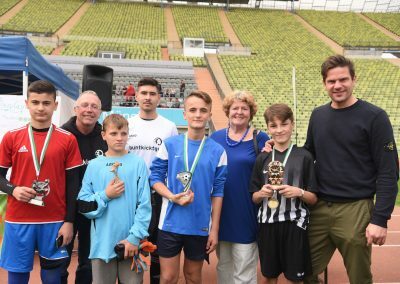 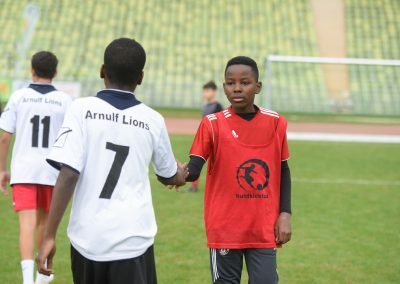 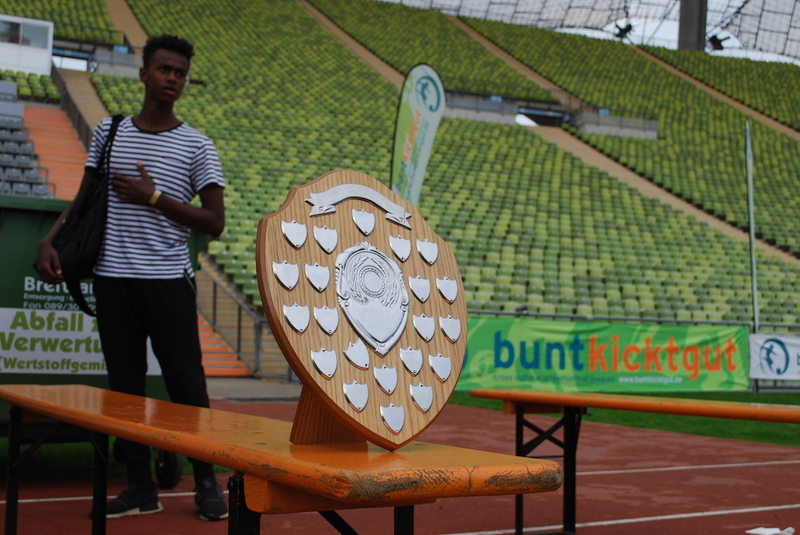 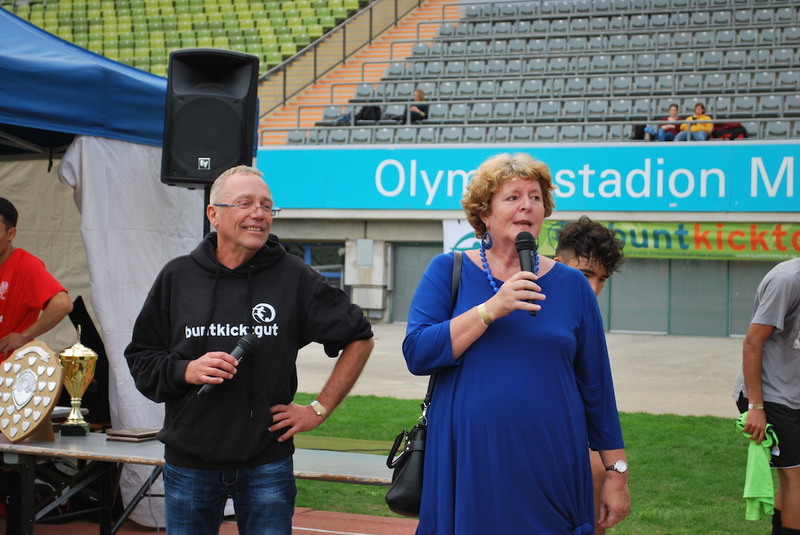 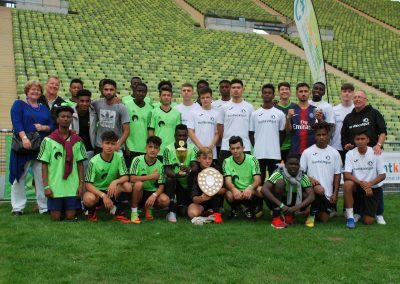 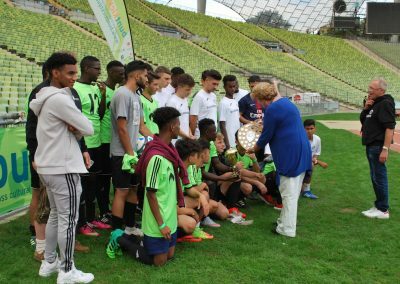 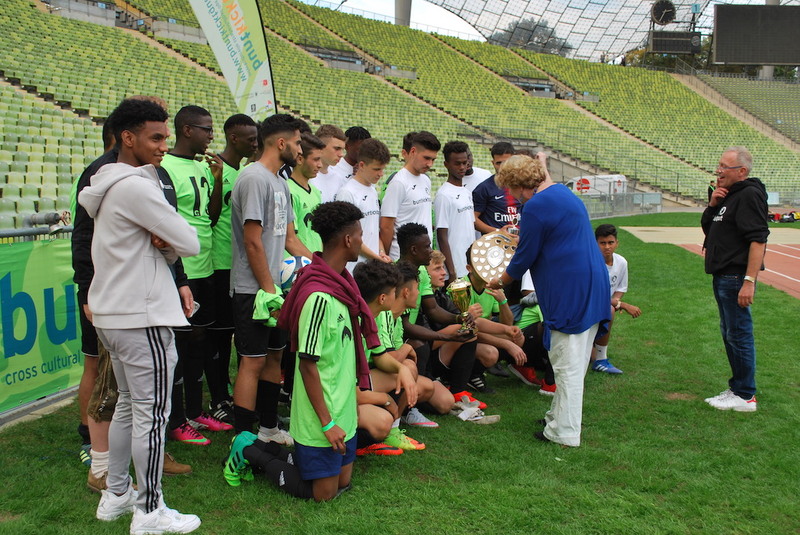 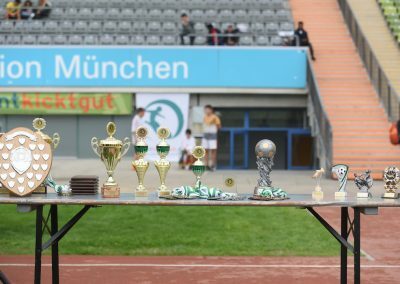 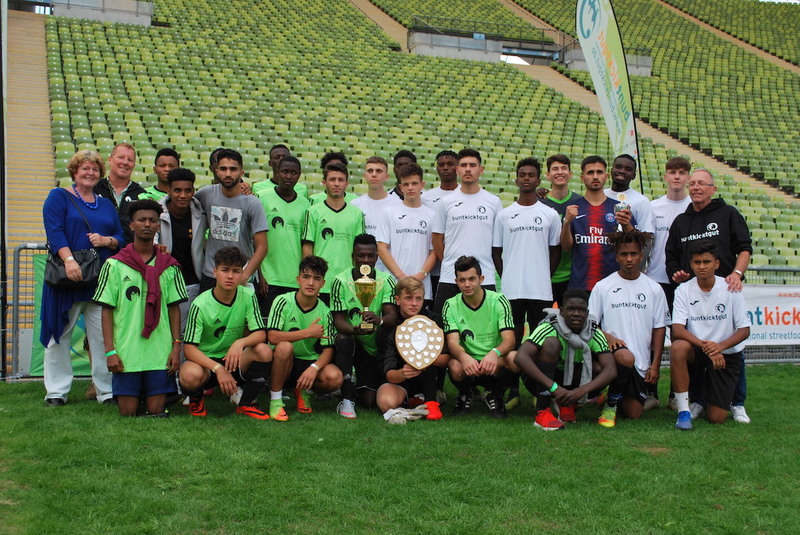 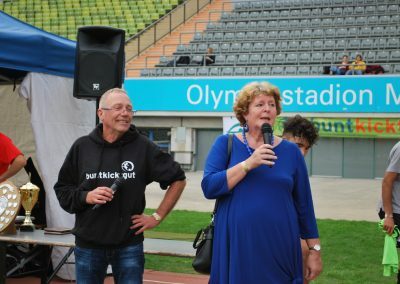 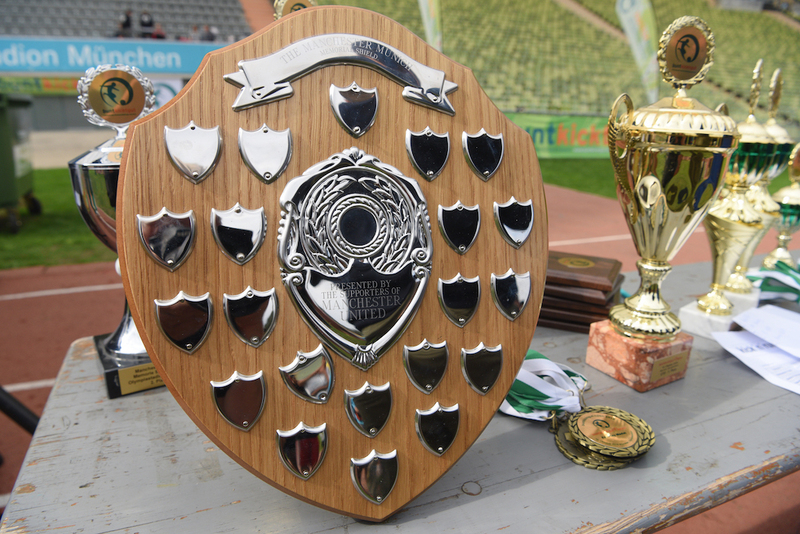 On 7th October, at the Olympiastadion in Munich, our two sponsored children’s charities, based in Munich (Buntkicktgut and Libero Pikassio), played for the inaugural Manchester Munich Memorial Foundation Shield. 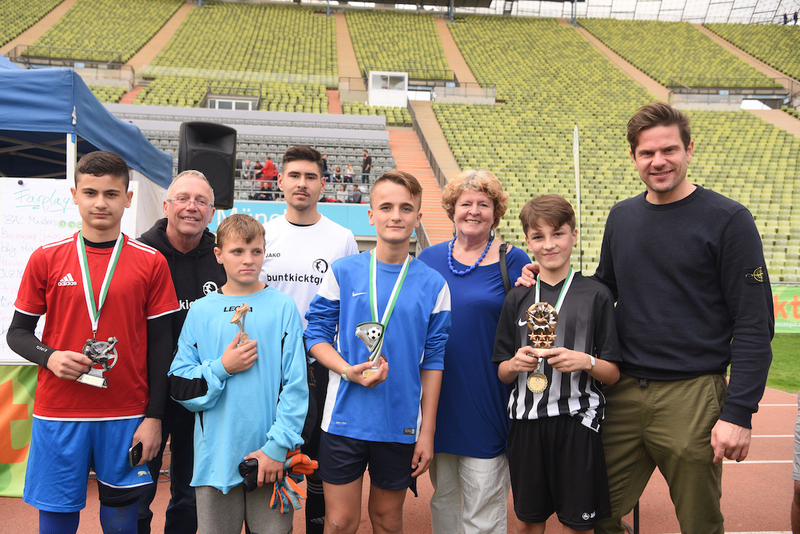 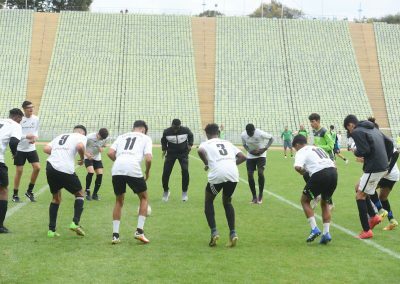 The boys, and staff, had a very memorable and enjoyable day and Libero Pikassio eventually came out as victors. 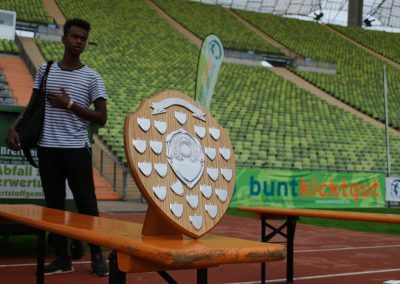 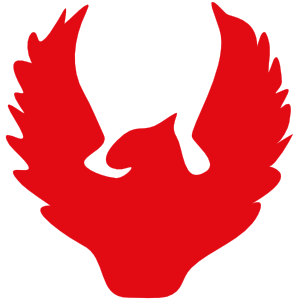 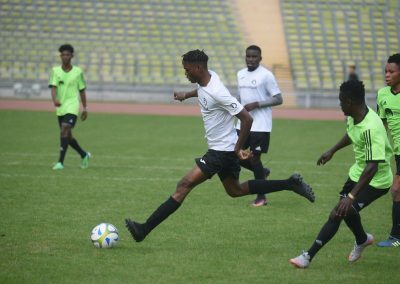 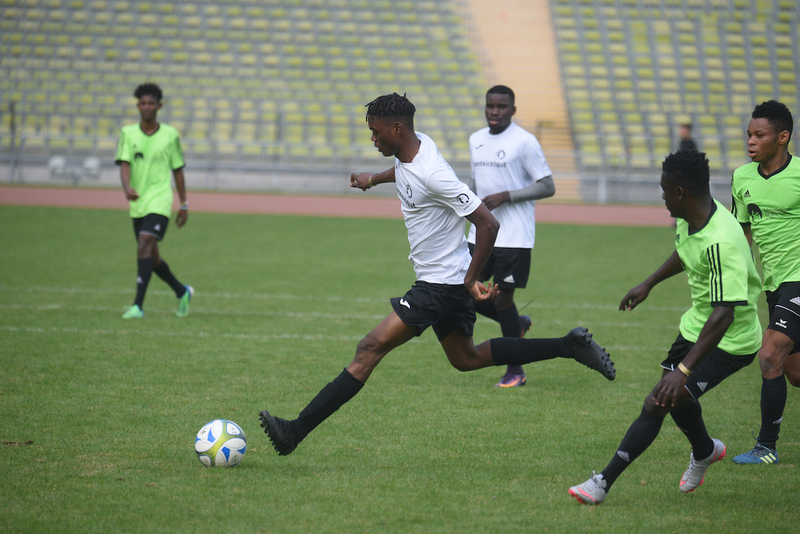 Each year the two charities will play for the shield, in memory of The Busby Babes, and Buntkickgut intend to come back stronger next year to claim the title of winners/holders.